It’s about time to break out the boat from winter storage and start getting it ready for spring. We’ve got boat maintenance on the mind and found some interesting new products from Corrosion Technology. Originally designed for the military, these are hard-wearing, proven products. RejeX is a high gloss finish that also protects. Designed to work on any hard, non-porous surface, it’s a long-lasting substitute for wax. Also, you can say good bye to rust and corrosion with CorrosionX. With just a light spray, even the salt water stays away. Both products were recently named Do It Yourself Boat Owner magazine’s “Top 10 Boat Care products Ever” list. Read on to hear more about these great products. 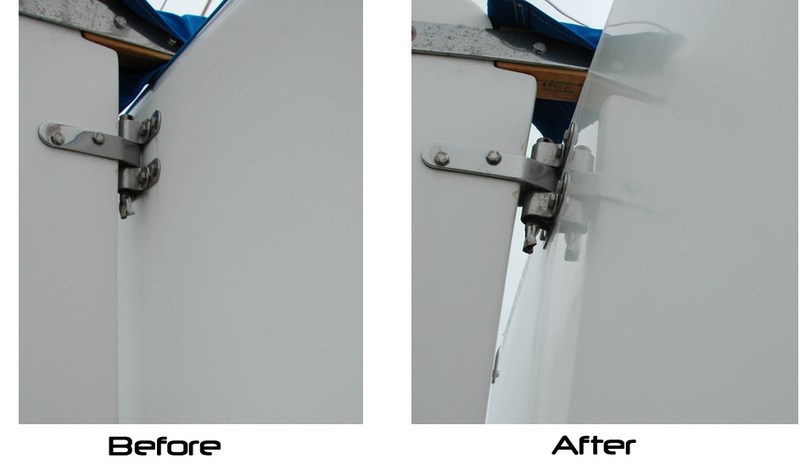 Tired of dirty, stained boats that won’t stay clean? RejeX is the solution. RejeX is designed to give your boat (or car, RV, or Airplane) a high gloss, slick polymer finish. It works to protect and seal in your gel coat, paint, metal, acrylic, Eisenglass, or varnished wood. It’s not a wax and doesn’t care to be labeled as such. Text on the bottle explicitly quotes, “Wax is weak. RejeX is strong.” Long-lasting and easier to put on than traditional waxes, RejeX makes boat work a little less of a pain. The best part is, after applying it to your hull, it will help prevent stains and grime from sticking to your gel coat making future cleaning much easier. The product history is interesting, too. Originally, RejeX was designed for the US Air Force to help prevent the damage from jet exhaust because the extreme heat actually strips the paint, which leaves the aluminum skins exposed to rust. Recently, it changed military hands and found use on US Navy Cruisers and Destroyers to keep exhaust from sticking to antennas and satellite domes. It moved on from there to the general public and became a popular product used in offshore powerboat racing, where it was documented as having a 1.5% to 3% increase in speed after hull application. Now, RejeX makes its way to sailing, and we think it has great potential. So I decided to try it out. Is this stuff really as great as it sounds? Luckily for me (? ), Warren allowed me to clean and polish part of his 22. Although the pictures don’t really do it justice, RejeX made a big difference. Easy to use, it comes out easily and isn’t too messy. With not too much work, you could feel the difference from the untreated sections to the treated. If that’s any indication of speed, I think the power boaters might be on to something…or maybe we should give the military the credit for this one instead. Overall, I think it’s a great product for those who don’t love cleaning and those who like going fast. I suppose that’s just about every racer? RejeX comes in a 12oz bottle that should fully polish a ~25ft boat. Great for anything from throttle cables, steering mechanisms, seat swivels, shackles, turnbuckles or anything else with metal, the uses for Corrosion X seem to be endless. Its unique formula makes it great for marine applications. Eliminate corrosion and protect metal surfaces on your boat and trailer. Have a corroded fastener or rusty turnbuckle? 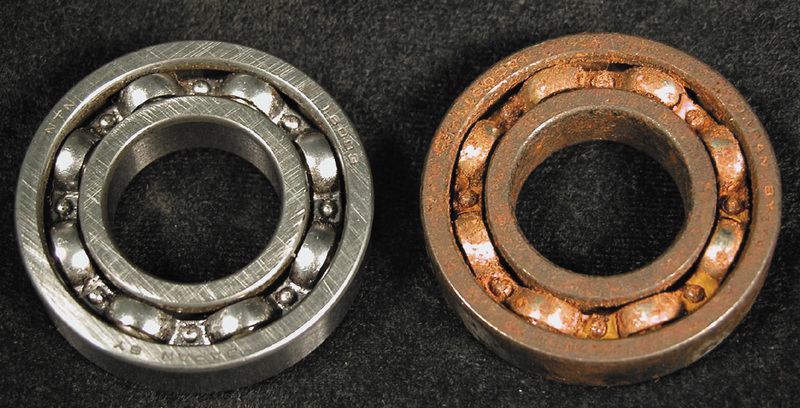 CorrosionX losens existing rust to revive your tired boat parts. Best of all, due to its make up, it won’t wear away quickly or wash off in salt water environments. 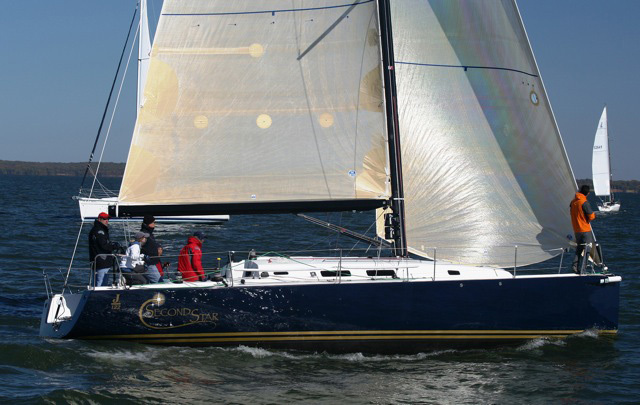 Practical Sailor recently named Corrosion X number 1 in every category for corrosion inhibitors. It’s the only product available to the general public that meets the U.S. Navy’s new performance requirement for water displacement and corrosion prevention. Joint Council on Aircraft Aging testing showed Corrosion X to be more than twice as effective as any other product of its kind. That’s a pretty impressive statistic. But the question still stands… how does it work so well? It works because of a unique technology that they call Polar Bonding. Similar to an electrostatic attraction, when it gets near reactive metals, it is attracted to the metal like magnets. This means it bonds to the metal, displacing moisture and providing a protective barrier to keep moisture, salt and rust away. By not being displaced by moisture, it also lasts much longer in marine environments than other products on the market. The wide range of applications is also impressive. It is recommended for shore power cables, battery terminals, wiring/breaking panels, nav light sockets, electronics…apparently, Corrosion X can even bring that GPS, VHF or phone that falls overboard or stopped working because of corrosion back to life. Corrosion X is also more environmentally friendly with 1/10th of the solvents of other spray lubricants. So, you can’t get much better – proven technology and environmentally friendly? I’d say Corrosion X is a sailors rust-free dream. Both products have been proven by the military to meet their standards. 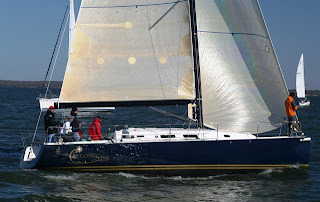 The company manufacturing this stuff is led by a sailor – and he saw the need to bring these into the sailing world. Achieve faster hull speeds and rust-free boats with RejeX and Corrosion X. So go on, get those boats out of winter storage and back on the water in tiptop condition!